Tänään vuorossa todella säihkyvä joulukortti, jonka tein myös Korttitalkoissa. Today's card is very sparkly, hard to take a good photo. 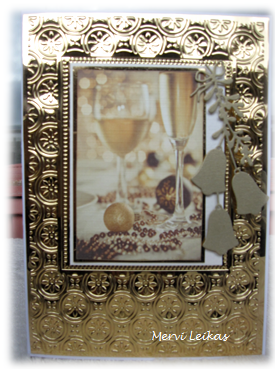 Shimmer Sheetz, embossing folder, io die cut, image. 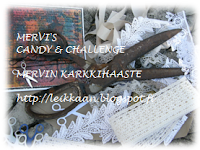 This is so elegant, Mervi! The image deserves this amount of sparkle and shine, great party feel! Love that shimmer and glitz! The image is beautiful and love how you decorated it! hello! so very gorgeous, luv the gold embossing! so glad you played along with us at Simon Says Stamp Wednesday Challenge! Beautiful and elegant. Love the gold embossed background.